The first thing that needs to be said about the entire National take-down from earlier this week is that the band themselves had nothing to do with the removal. In fact, in the discussions and negotiations to work out a solution to repost the recording, the support of The National and their representatives for the idea of a reposting of the recording was perhaps the tipping point in amicable solution of this entire situation. We are doubly indebted to this band for the initial performance and their openness and desire to allow the fans to hear the music. Adam from Beggar’s Group ended up being a nice guy with a perfectly reasonable reason for the initial take-down — looking out for the band and the charity project. He was also reasonable enough to revisit the idea, discuss it with many people internally, and ultimately work out a solution. The solution is simple — the desire of everyone involved to benefit the charity. In that regard, this recording is being offered for download with one very simple condition. If you download the recording, you contribute to the cause. If you email nyctaper for access to this recording (or if you downloaded from the original post), we expect that you will have either purchased the CD, contributed to the cause, or will contribute. While we are relying on people’s goodwill in this endeavor and not strictly enforcing the condition of contribution, it would benefit all involved if readers would voluntarily email some proof of their contribution when requesting access to the files. On a selfish note, this kind of concrete proof of the positive contributions of nyctaper readers would also benefit the site in future situations of this nature — it would be great to have statistical evidence that nyctaper matters. Read this very thorough review of the show. 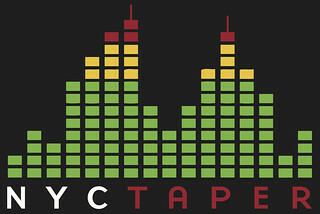 Email nyctaper with a request for the download location of the mp3 and/or FLAC files. Please include some indication of your support with the email request (voluntary). Be extra charitable and purchase the official releases from The National’s Merch store directly.